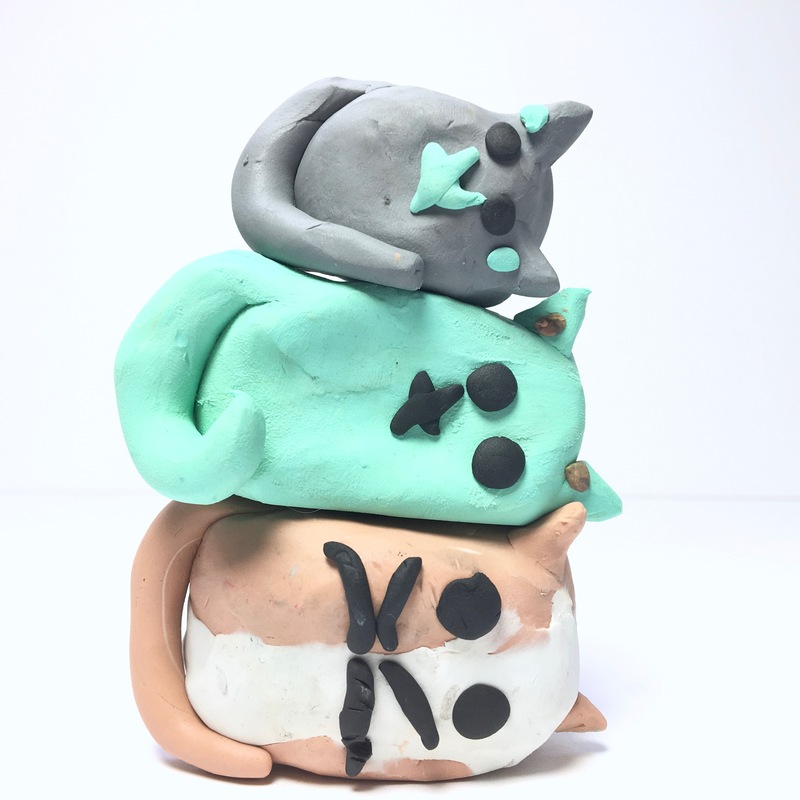 Stack the Cats! by Susie Ghahremani (2017). One look and I was smitten with this one. Cats! That vibrant color palette! But there’s more. 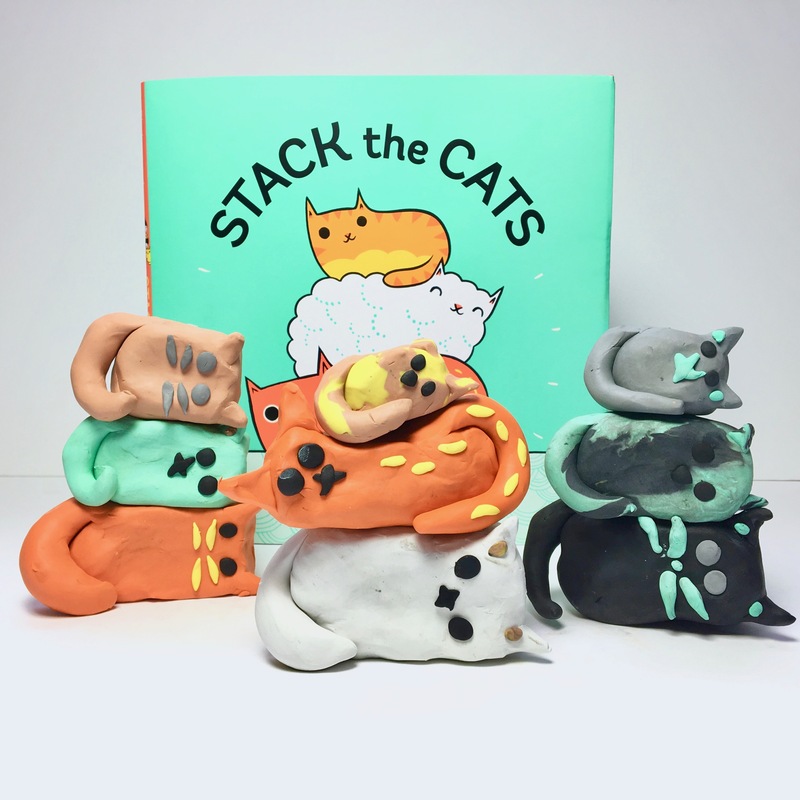 Stacking cats to do math—yes! This picture book counts cats. And stacks cats. And adds cats. And then subtracts them from the big stack they’ve tumbled out of when they do cat-like things: napping, climbing, and playing hide and seek. Full of the cutest cats and and tons of playfulness, this one charmed me with its style, simplicity, and STEAM education applications. BoyGirlParty is the home of Susie Ghahremani’s adorable shop full of pins and onesies and more. She’s also got a great portfolio of art and illustration as well. And now, her very own picture book. Images above are from Buy Olympia. 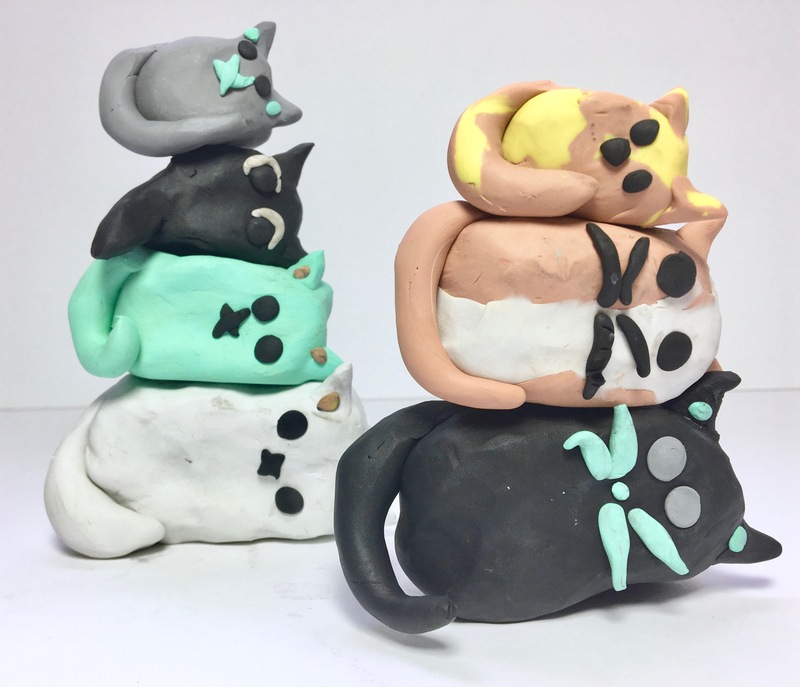 Stack the Cats has craft written all over it. And math craft at that! 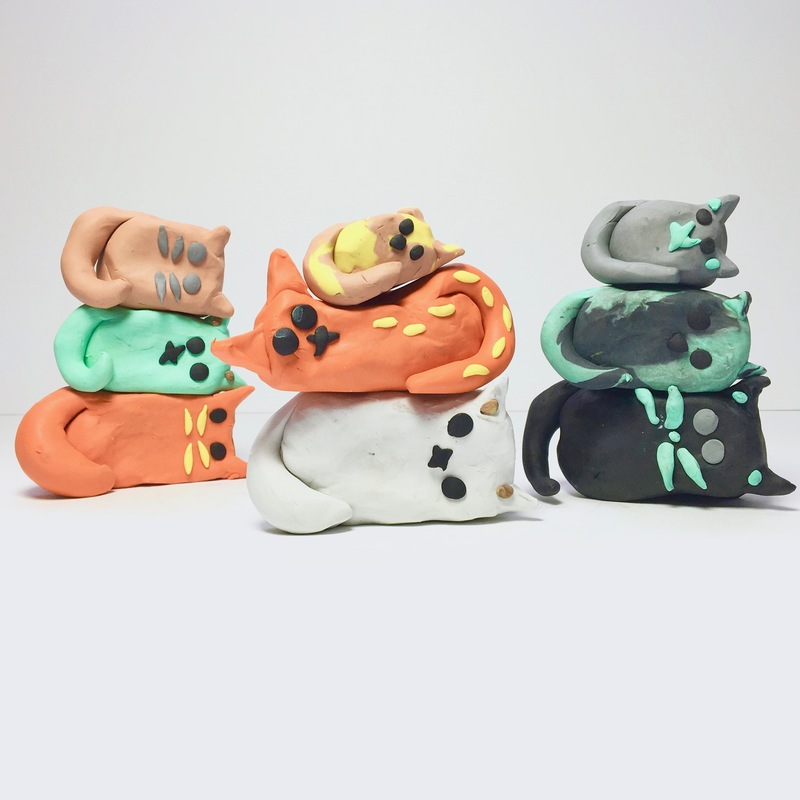 Plus, the last line is: “How will you stack the cats?” That calls for clay cats to stack in order to answer. 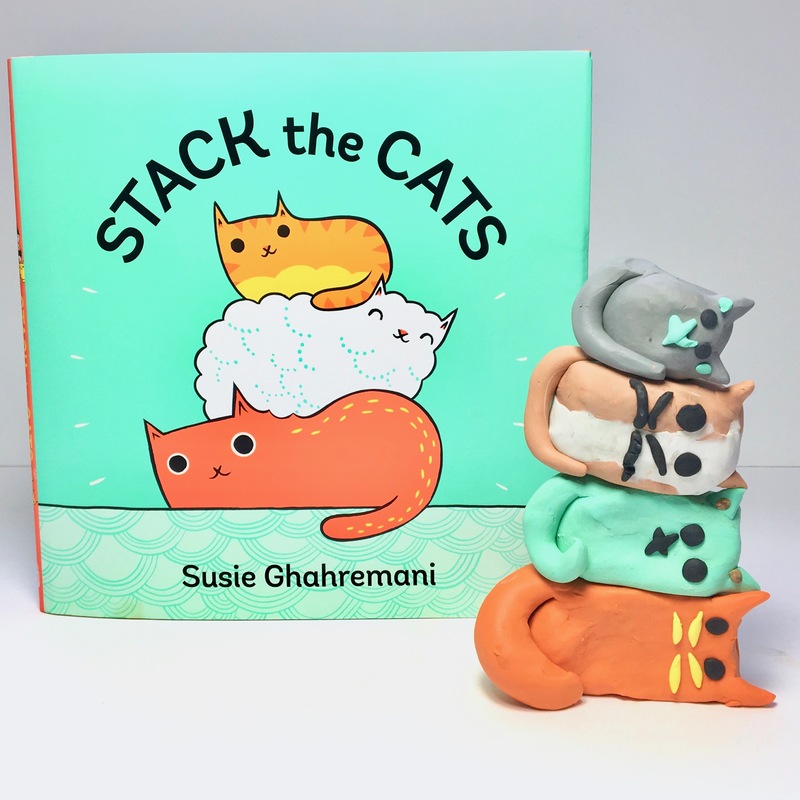 Stack them, add them, subtract them, try to make the biggest stack you can without it toppling over—so much fun stuff to do with these clay cats, including crafting them to start. Clay! I used the kind that doesn’t need to harden in the oven—plastalina modeling clay. Wax paper to make sure the surface you work on doesn’t get messy. There are no set instructions here. I typically started by sculpting the body. I took a portion of the clay in the size I wanted and rolled it into a ball, then squashed it flatter and kind of squared off the head a bit. Next, the tail! Take a smaller portion of clay and roll it into a cylinder shape. Then affix it to the tail end of the body. Next, ears. I took a small bit of clay and pinched one end to make the triangle shape, flattening out the whole piece. Time for eyes. I rolled tiny balls of clay in my hand and then pushed each onto the cat’s face until it was a disk. You can make whiskers or little noses or add embellishments to the ears and body or tail, too. 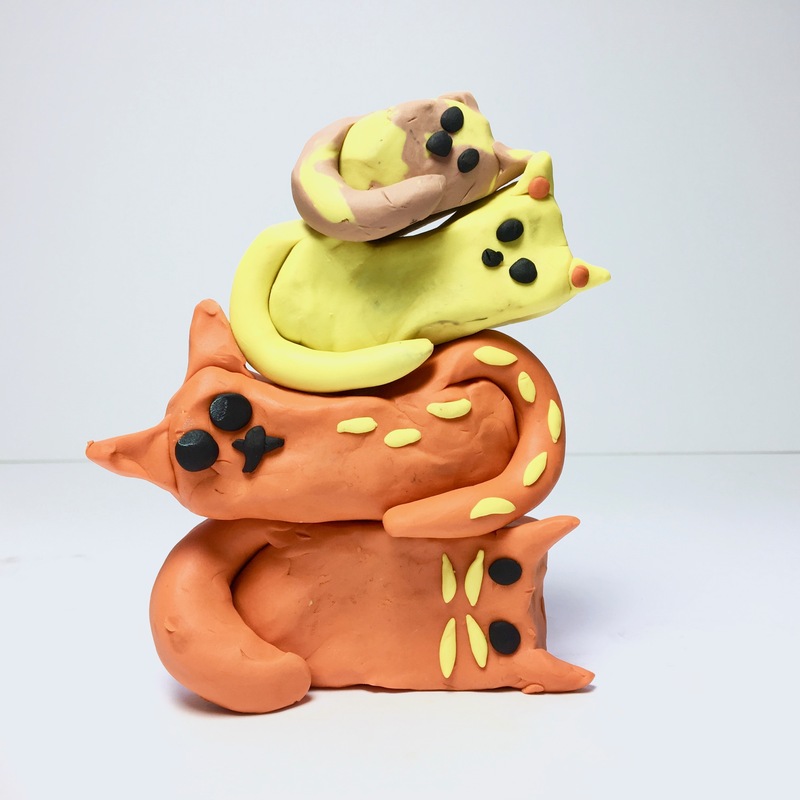 One cool effect I liked was combining two clay colors by rolling them together, then making the cat from that clay mixture (see the cat on the top of the middle stack and the middle of the far right stack). 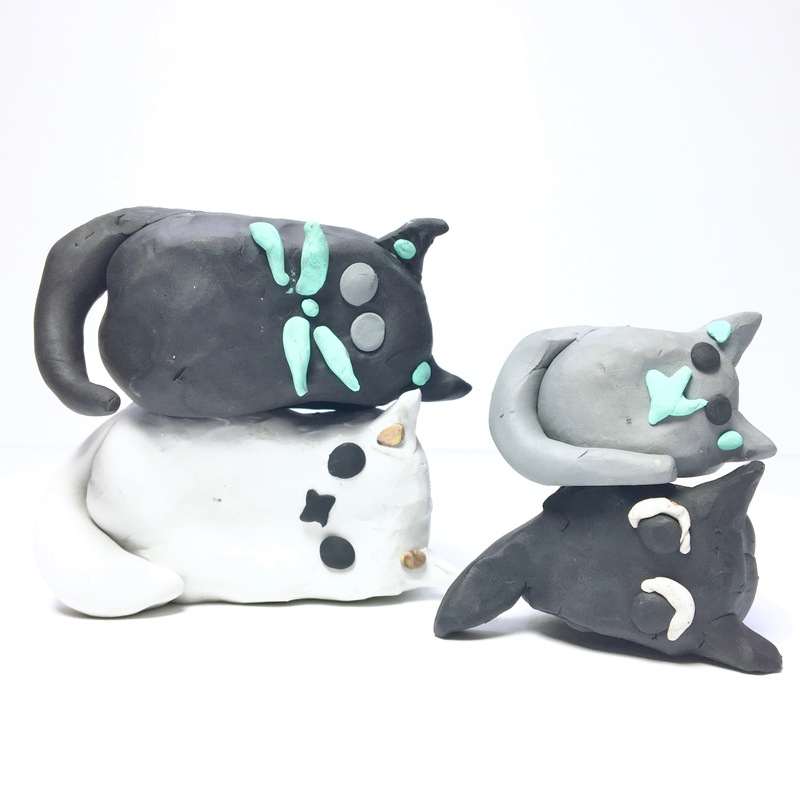 You might also be interested in this clay Your Alien craft I made for All The Wonders a while back!